Most programs which ran in Windows Vista, will run in Windows 7 or Windows 8. 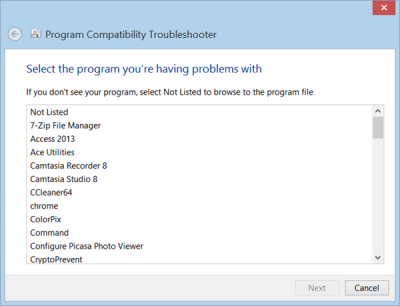 However if you find that the program still does not run properly, you should check run the Program Compatibility Troubleshooter in Windows 8 | 7. 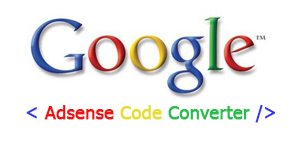 To access it, Open Control Panel > All Control Items. You will see the Run programs made for previous versions of Windows, under Programs & Features. 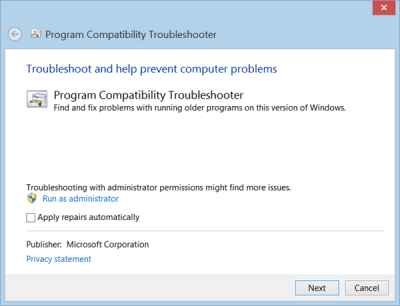 Click on it to open the Windows Program Compatibilty Troubleshooter. 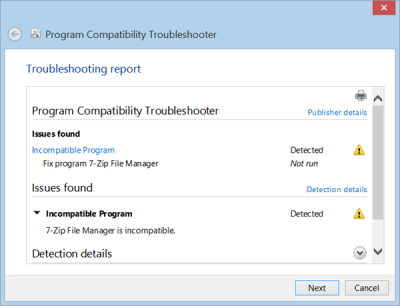 If you use it frequently, you can also create aProgram Compatibility Troubleshooter desktop shortcut. Click Next or the Advanced option, if you don’t want things to be fixed automatically. Windows will try to detect programs you may be facing problems with. Select the one you want and click Next. The Troubleshooter will analyze and present a list of problems. Click on Next to fix the problems. Windows 8 or Windows 7 will try to resolve the issues and or alternatively offer you additional recourses. 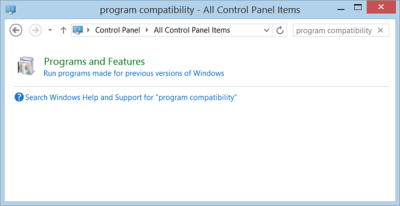 How to make a program run compatibility mode in Windows 8 may also interest you.